Should you have any problems logging in, or any issues with your account, don't hesitate to contact our office. If you cannot sign in, please change your password by clicking here. A new password will be sent to your email address. 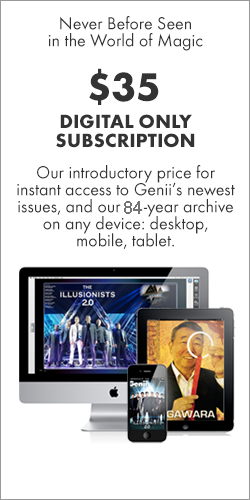 Genii will be down for maintenance until 7pm Pacific. We apologize for any inconvenience. 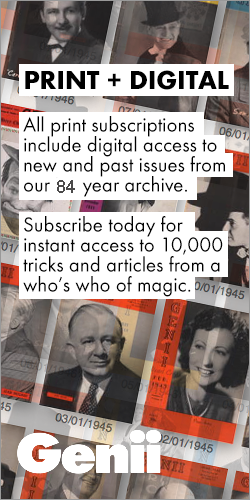 Enter your password or your Magic Castle AMA Member Number.